This is just a reminder that the call for evidence entitled the ‘Energy Efficiency Scheme for Small and Medium Sized Businesses’ will be closing in less than a month. 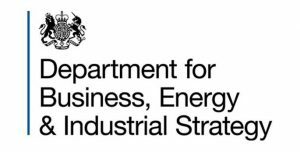 The Department for Business, Energy & Industrial Strategy (BEIS) team is very keen to hear your views. This call for evidence proposes three options for possible delivery of the scheme (energy efficiency auction, a business energy efficiency obligation and expanding access to finance options to SMEs) and asks for views. It also invites views on any additional delivery models that the Government should consider for the new scheme. Over time, the aim is to reduce business energy bills and lower businesses’ carbon footprint. The call for evidence will close on the 8 May 2019. Please find a link to the call for evidence below.